Every year, there are certain events on the calendar we Macworld editors can count on, and one of those events is the release of a new iPhone. It’s during this period when reviewers devote most (if not all) of their time to Apple’s new phone. After all, you want to invest wisely, and we take the job of properly evaluating each new iPhone very, very seriously. Looking back at the past ten years of reviews, it’s interesting to see not only how technology has evolved over time, but how users have adapted to the technology. For example, when the first iPhone hit the market, reviewers wondered how people would adapter to an on-screen keyboard. Now, with the benefit of hindsight, it seems like such a concern is ridiculous. Below are summaries of Macworld iPhone reviews from the past ten years. Click on the link to read the full review. The one that started it all. Jason Snell, who was our lead editor at the time, had the honor of writing the review. Unsurprisingly, the second iPhone was a much better device than the original iPhone. The shift to 3G networking had a lot to do with that. Review by Jason Snell. Third time’s the charm—at least that was true with the iPhone. This is the phone where Apple really started to hit its stride. Other smartphones started to hit the market, but the iPhone 3GS’s combination of refinements and new features kept the iPhone at the front of the pack. The review was written by Jason Snell. There are actually two iPhone 4 reviews (both by Jason Snell). The first one occurred during the standard release cycle, with AT&T service. The second one happened about eight months later, when Apple released the iPhone 4 with Verizon. Here are the highlights. This phone is marked by the introduction of Siri. The iPhone already had voice controls, but Siri takes it to a whole new level. Also this is when Apple started releasing new iPhones in the fall instead of the summer. Jason Snell has the review. Lightning struck with the iPhone 5, replacing the 30-pin connector in the previous iPhones. Users everywhere bemoaned the fact that cables and adapters needed to be purchased, and even some accessories weren’t usable anymore. Jason Snell with the review. This was the first iPhone offered with a gold finish. Why a gold iPhone? Some speculated that a gold iPhone would help Apple gain marketshare in China. As it turned out, gold was popular in the U.S. The iPhone 5c was offered as a more affordable option to the 5s. One way to make it cheaper: the 5c was based on the A6 processor that was used in the iPhone 5. Also, the 5c had a polycarbonate case available in an assortment of colors. Reviewed by Philip Michaels. It was go big or go home for Apple in 2014. Smartphones with larger screen grew in popularity, and Apple responded. With its new iPhones, Apple ditched the 4-inch screen and went with 4.7 inches for the iPhone 6, and 5.5 inches for the iPhone 6 Plus. Jason Snell reviewed both phones in one review. Apple’s marketing slogan for the iPhone 6s and 6s Plus was, “The only thing that’s changed is everything,” the idea being that the major changes didn’t happen to the design and exterior, but inside the phone. 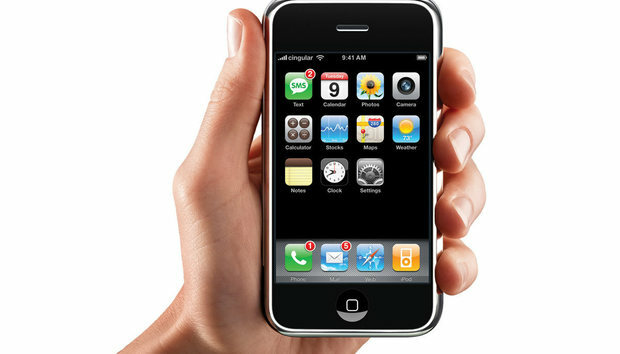 This iPhone was a big deal, getting the highest ratings Macworld has ever given to an iPhone. Jason Snell with the review. Some people like having a smaller phone, so in response, Apple released the iPhone SE. It sports a design like the iPhone 5s, but it’s a more capable phone. It lacks some features of the iPhone 6s, though. Susie Ochs wrote the review. Only one thing matters about the iPhone 7 and 7 Plus: it doesn’t have a headphone jack. Forget about everything else. So many people fretted about this that no one cared about the phone’s other features. But we did, because that’s our job. Susie Ochs has the full review.